Dean Murdoch wrote: Also he said there were TWO Australians committed for 2017, one ranked No. 2 in Australia (that would be Makuach Maluach) and the other ranked "top 20" - an educated guess could be the second commit was/is Grant Anticevich, also a Newington College guy. 6-6, 180 lb. forward ranked #19 by AUSA Hoops. According to this site, the other commit is/was Anticevich. No Maluach listed, but I see him mentioned as a member of the 2018 class now. It's really no secret that Rev's staff had difficulty in finding a go-to big man in recent years, making it imperative that TP's staff do better. The first big man recruit to emerge from the Porter era at UP is Felipe Haase, a 6-9/250 center from Chile now living in Los Angeles. Coach Middlebrooks wrote: Felipe Haase (2017) big 6'9" 250 lbs has picked up another offer from @PilotHoops. Haase's numbers in his one year at Cathedral High School are unimpressive, but he is a member of the Chilean Junior National Team where he averaged 11.6 points and 8.4 rebounds at the South American Championships last year. Dean Murdoch wrote: No Maluach listed, but I see him mentioned as a member of the 2018 class now. Hmm, this is a strange one. I've also heard Maluach's coach had him removed from the 2017 list because he was not happy with the way Maluach's name was being used without permission. Same could also happen with Anticevich. DoubleDipper wrote: I've also heard Maluach's coach had him removed from the 2017 list because he was not happy with the way Maluach's name was being used without permission. Same could also happen with Anticevich. That.....might be the strangest thing I've heard all week. I wasn't aware a media outlet needed permission to use someone's name. As is often the case, a high school and/or AAU coach looking for a little cred stated a player was "offered" just because a coach may have talked to a player during the evaluation period. The confusion illustrates that notwithstanding the abilities and renown of our busy coach, the problem with recruiting remains the same. We take some interest in a prospective student athlete who then pledges to bigger schools with stronger programs. Reveno's departure will not change the recruiting landscape. Hard to say how accurate this is. I've seen tape on the 5-11/165 Sorenson, and apparently he's never missed a shot. After Isaac Bonton changed his mind about coming to UP, it was thought the new staff might re-recruit him, but IMO there are other PGs that should be considered first....after all, the next PG to come aboard will fill the spot left by Alec upon his graduation. 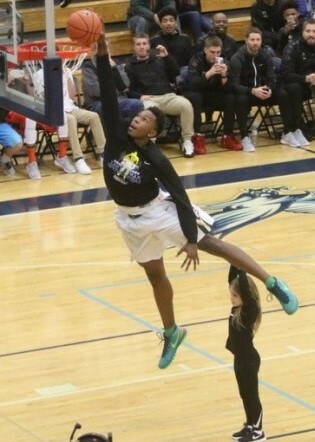 DoubleDipper wrote: Saben Lee, 6-0 PG from Tempe, Arizona has retweeted that he has picked up offers from UP, PSU, and Weber State. Saben Lee eventually picked up at least a dozen offers (including UP, UOP, USD, USF, and PU), but yesterday he gave his verbal commitment to Vanderbilt! A reliable source has confirmed that Coach Porter initiated the release both Grant Anticevich and Makuach Maluach from their verbal commitments. As talented as the two forwards are, I can only think Coach Porter is looking for talent at other position, but it would seem an athletic forward of the same mold as Maker, and ranked #2 in Australia, would have been a solid addition next season. 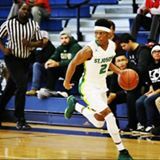 Verbal Commits is reporting that UP has offered 6-1 PG Johanns 'JoJo' Walker from Puerto Rico, but now living in Santa Maria, CA and attending St. Joseph High School. I know very little about Walker, except that he plays on an excellent high school team and is a first team all-state player. DoubleDipper wrote: A reliable source has confirmed that Coach Porter initiated the release of both Grant Anticevich and Makuach Maluach from their verbal commitments. All the coaches are currently on the road recruiting, and they will continue to be on the road in the States and overseas for the next few weekends...so it's probably pretty certain Coach Porter or a member of his staff will be in Sydney sometime this summer or fall to watch the guys from Newington College. With Wintering, Barreno, and Marshal graduating, it is imperative the Pilots bring in a point guard, center, and forward as part of the 2017 recruiting class. By releasing both Aussies (both are forwards), it's certainly possible the Pilots could still land Chier Maker's good friend, and the #2 player in Australia, Makuach Maluach. DoubleDipper wrote: A reliable source has confirmed that Coach Porter initiated the release both Grant Anticevich and Makuach Maluach from their verbal commitments. As talented as the two forwards are, I can only think Coach Porter is looking for talent at other position, but it would seem an athletic forward of the same mold as Maker, and ranked #2 in Australia, would have been a solid addition next season. I missed this the other day. I know nothing of Makuach Maluach besides him being ranked No. 2 in Australia's Class of 2017 at one point. On the surface, certainly seems questionable to just let a guy like that go if he was willing to come. Very weird. I guess we'll find out one way or another what's up. Dean Murdoch wrote: I missed this the other day. I know nothing of Makuach Maluach besides him being ranked No. 2 in Australia's Class of 2017 at one point. On the surface, certainly seems questionable to just let a guy like that go if he was willing to come. As I mentioned in a previous post, I think there is still a good chance we'll see Maluach at UP....but Coach Porter needs to meet the young man and see him play. I believe that once Maluach meets TP, he'll still want to come to UP if another school hasn't snagged him first. Not sure another SG is UP's priority right now, but Gittens, from Tacoma, is an excellent one. He'll probably find the defenders in the WCC are a little taller than the young lady guarding him here. Dunked right over her. Sold. Maybe Terry has a different mix of fairy dust than prior Pilot coaches. There are continual posts here about prospective student athletes who have little to no likelihood of attending Portland as they overwhelmingly accept offers from larger institutions. Our offers to them are not quite symbolic, but close. If Terry reals this young man in, then perhaps he can recruit in a remarkable way and I have misjudged--but I would not hold your breath. So far in the Porter era the roster has been lessened by the transfer of two solid players. So far in the Porter era we have passed on two committed Aussies who may have added to the team a good skill set, or at least Porter's immediate predecessor thought that. It is too early to begin characterizing the Porter era, obviously. We should very much give coach Porter an opportunity to succeed and he well may. Interesting that you say it's too early to characterize the Porter era and then proceed to characterize the Porter era. Is it too early or not? And is it from the Porter era or the Reveno era? Your statement about recruiting players who then proceed to sign with bigger schools is an interesting one. I read a study a couple years ago on exactly that point. It concluded that it's a fact of recruiting that if a kid gets an offer from a big five conference school and a mid major, the chances are something like 99% they will go to the big five school or a school with a major D1 football program. Something to do with funding. there are a couple of exceptions, and it happens that our conference has two of them. So having players leave is not at all unusual. wrv wrote: It is too early to begin characterizing the Porter era, obviously. We should very much give coach Porter an opportunity to succeed and he well may. Yeah, anytime there is change, particularly when the change is to a couple of coaches with recognizable names like Cantu and Porter, there is optimism, but I'm quite sure they feel the self-imposed pressure to find success in their recruiting efforts....just as much as UP fans want them to succeed. We all know that given their druthers, a recruit will go to one of the big 5 schools....so the recruiting landscape will not have changed from the previous coaching eras at UP....but it will be up to the new staff to identify, recruit and beat out the other mid-majors to assemble the right mix of players that will bring basketball success to the Bluff. Geezaldinho wrote: Interesting that you say it's too early to characterize the Porter era and then proceed to characterize the Porter era. Actually, I did not characterize Mr. Porter's tenure, only related the unvarnished facts. Interesting that the recitation of facts brings such a response. The info on players choosing larger institutions over the mid(small) size schools is telling and consistent with my comment. Mark Miller WisBBY Yearbook wrote: University of Portland coach Terry Porter offered a scholarship today to 2017 WG Terrence Lewis (6-6) of Milw. Riverside. Lewis is rated a 4-star by ESPN. Could get interesting....Coach Reveno is also recruiting him to Georgia Tech. Other offers include UNLV, Memphis, Minnesota, Illinois, Iowa St., Auburn, UAB.....and others. Guest wrote: Did I seriously just create this thread? Coaches getting after this one early! Pilots have offered 2017 SG A.J. Youngman out of Thomas Nelson HS in Bardstown, Kentucky. Ranked the top freshman in Kentucky and also has offers from West Virginia and Northern Kentucky. I am assuming "hey kid, want to play in the best non-conference tournament ever assembled during your first year on the Bluff?" would be a big part of the recruiting pitch. This post, the first in this thread, was posted almost three years ago, on October 1 2013, by the "late" Terry Cahill. Not that UP is in need of yet another SG, but today A.J. Youngman committed to Eastern Kentucky....just 75 miles from his hometown. DD you should be charging for the diligent information gathering you provide. I follow the game but not nearly to the extent you do. Thank you! pilotdad1 wrote: DD you should be charging for the diligent information gathering you provide. I follow the game but not nearly to the extent you do. Thank you! Had a nice chat with your son at the alumni game....still the same old humble and great guy!! Asked him if he was putting his psychology degree to good use. He didn't seem to think so, but I assured him he's actually using it everyday, even while playing professional basketball, he just doesn't realize it. He said he got a chance to visit with you and that is was a great experience getting to see everybody. Ryan is home for a bit doing some skills camps here in Spokane before he leaves Aug 11 for Trier. I agree he is using his psych degree in everyday life. The plan is to play until its "done" and then accept one of the standing job offers he has. He also wants to get his Masters and do some Sports Counseling which I think he would be great at. 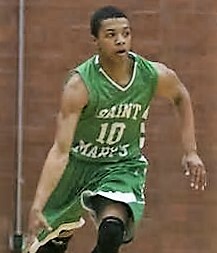 Josh Gershon wrote: Portland has offered 2017 Earl Watson Elite PG Marcus Shaver. 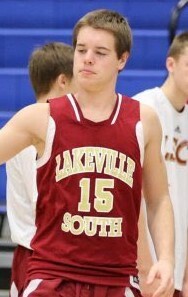 Said Shaver, “Prep school has been interesting, I learned a great deal playing against top talent. I enjoyed the traveling but I prefer being at a normal high school.” So now, with "normality" back in in Shaver's life, he will complete his senior year of high school back in his old Phoenix neighborhood at Shadow Mountain High School under the tutelage of 14 year NBA veteran Mike Bibby. Bibby, the head coach, is a Shadow Mountain and U of Arizona grad, and I just bet he and Coach Porter, whose sons have also gone to prep schools, are acquainted and have many mutual friends.